MASKerade: CASology 108 - Magic! 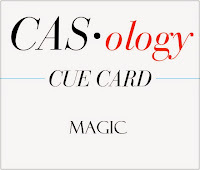 This week's CASology Cue Card is Magic! 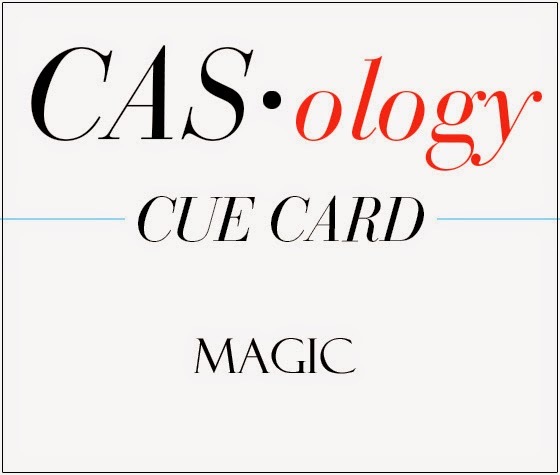 I struggled with this a bit - I had lots of magic ideas, but many of them were not very CAS! But I kept coming back to Steppenwolf's "Magic Carpet Ride". It's been in my head ALL WEEK LONG! And in Canada, this is how we do magic carpets! lol! I used a Papertrey silhouette and a Stamps of Life sentiment. To add a bit of interest to all the white space around my silhouette, I cut a partial layer for the hill with my Creative Memories Curvy Cutter (sadly retired) and added some Stickles for sparkle. Now it's your turn - before you go, make sure you check out all the inspiration from the rest of the DT! The pop of red in the sentiment really works. Love the dimension you gave the hill. And the bit of sparkle is very cool. Fun, I always adore your Christmas cards! A Canadian twist on the cue card! Love it! This is awesome! Love the image and snow! This card makes me want to squeal Ardyth! Not ready for winter yet. OH, what a fun magic carpet ride. I'd love to sled down that hill. Very fun interpretation of the cue word. Oh, and I have that SM curvy cutter, too. Forgot all about it. Fun to be ahead of the curve, right? I love how the cues make you think of songs...this is such a fun card (and I love that song, too)! I love the sparkly snow flying off the sled. Fun! Great take on the theme Ardyth. Now this is magic, the magic of the Christmas holiday. I love it. 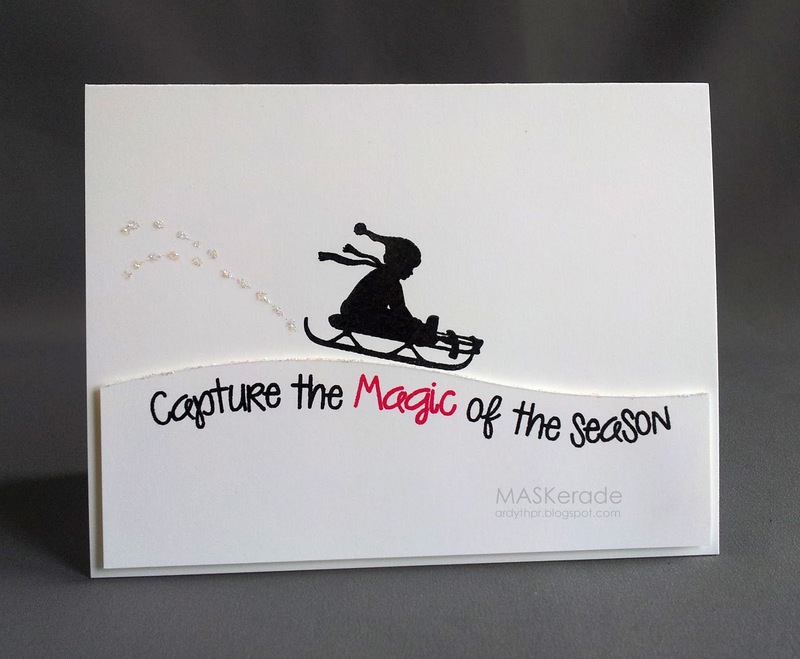 I am a massive fan of silhouettes, and this sleigh ride is indeed magical! Gorgeous in every way Ardyth.